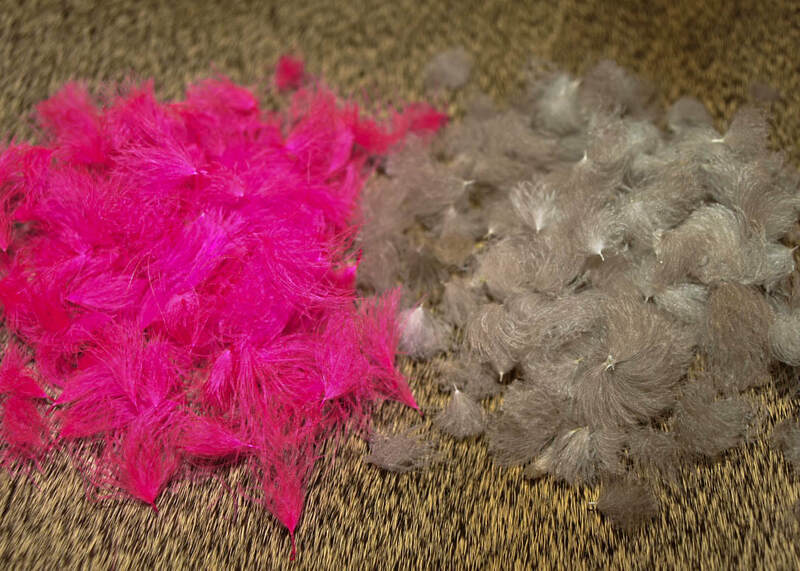 This is our hand selected CDC feathers. perfect for any application calling for CDC. Averaging 100 Feathers in a package. The CDC is a feather that comes from the bottom of the duck. Where the duck gets its natural oils that help it stay water proof. This is our CDC in a bulk 1 gram pack. This is the CDC feather off of a goose. 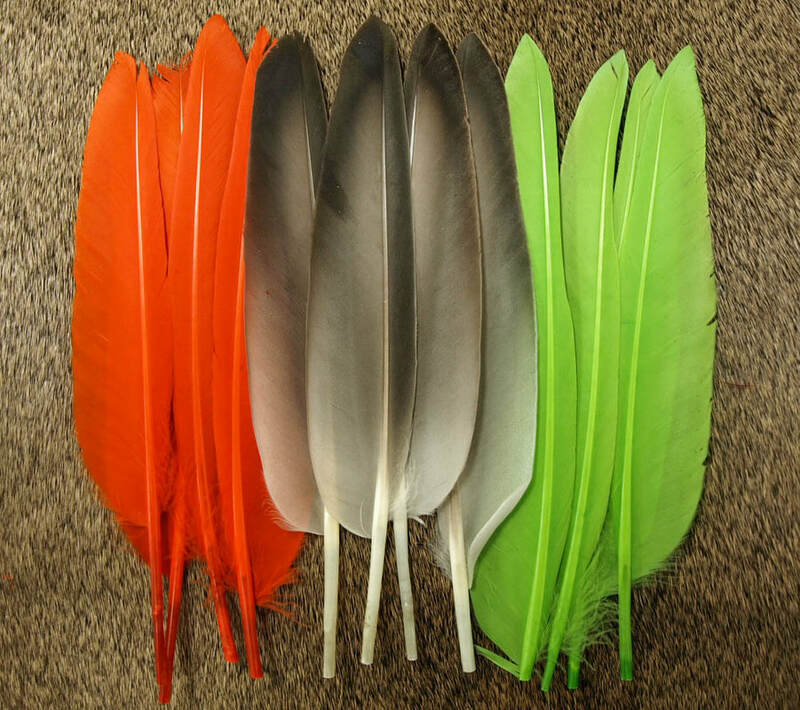 Same type of feather and applications. CDC Tuffs come from the ducks only. 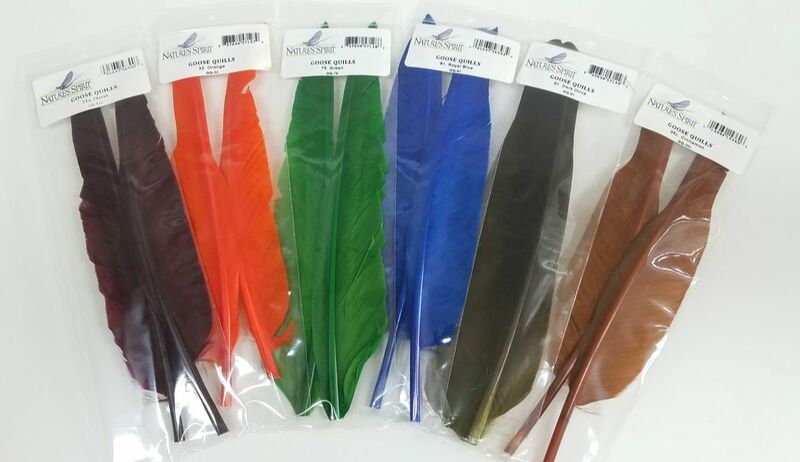 They are smaller feathers that are very popular with emergers. Our Stripped Goose Biots come in two different package sizes. Allowing you to get more or less depending on how often you use those colors. 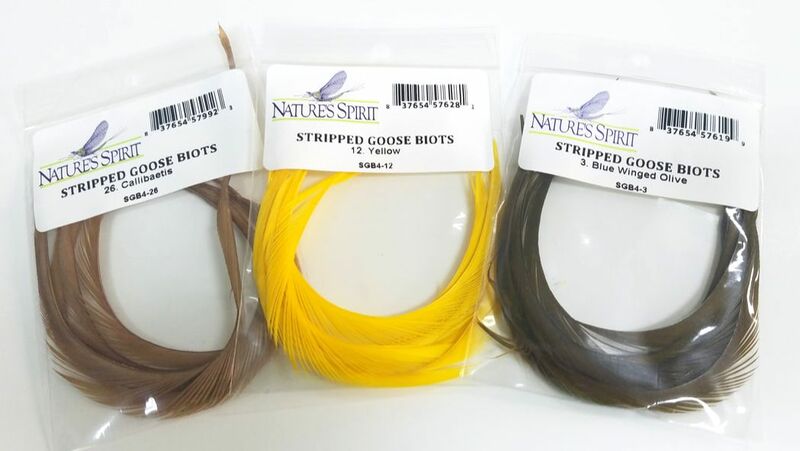 ​Biots are an essential material for many nymph pattern, and because of that we offer a large range of colors for you to enjoy. This is the Primary biot quill if the Goose wing. Providing the large Biots that are used for body wrapping. 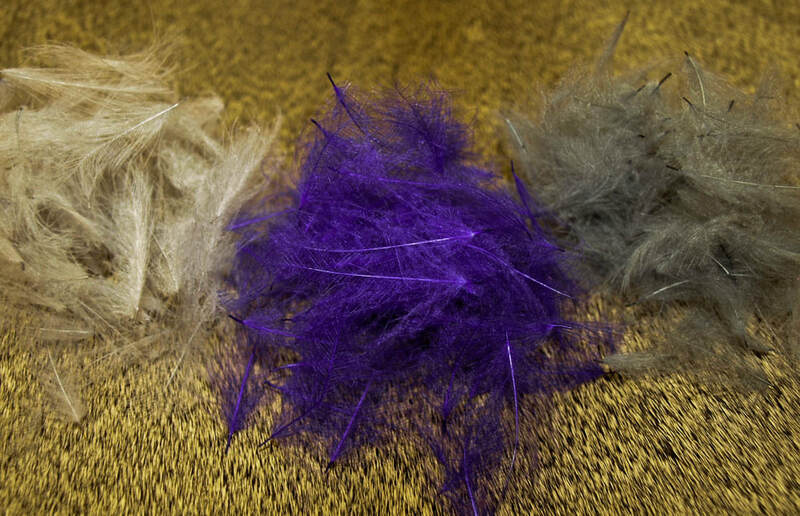 Bigger and Thicker then duck quills, Goose quills make a better feather for larger flies. Giving you more versatility for sizes with your wet fly wings and tails. One pair per bag of highly selected quills. Classic Duck quills for a every day us on classic wet fly wings, tails, dry fly wings, and every other use you can think of. These are graded for only the best of the best quality. Two pair per package. These are full wings that off of a couple of different ducks. Giving you the full selection for every feather off the duck wings.